I’ve caught some flak over the years for cooking with “good beer,” and I’ve been told time and time again that I’m wasting my money by cooking with beer that I should be drinking. The truth is that if it isn’t worth drinking then it isn’t worth using for cooking. What is the point of cooking with a cheap flavorless beer if it isn’t actually going to add any flavor to your dish? A dish is only as good as the ingredients you put in it, and a dish with stale spices and old herbs is going to taste like a dish with stale spices and old herbs. The beer in your recipe will have the same effect. Here on the blog you’ll find plenty of recipes using beer, and the beer you choose really does matter. Some recipes, like the Brown Ale Pumpkin Pie, are a bit more forgiving because the beer makes up a small amount of the flavor profile but the beer will make a difference. On the other hand recipes like the Snow Day Stew, La fin du Poulet, or the Sweet Potato Doppelbock Souffle, are mostly made from the beer, and you can taste multiple layers of flavor from the beers in those recipes. Another great example is the Venison & Porter Goulasch. We have made this with multiple brands of porter, and each porter adds its own character to the stew. You could make this dish with a cheap American lager, but you would get nowhere near the depth and complexity of flavor that a great roasty brew will provide. So be sure to think about the next beer you use for cooking. Don’t just grab the cheapest or the first brew you can get your hands on. Think about the flavors you want. 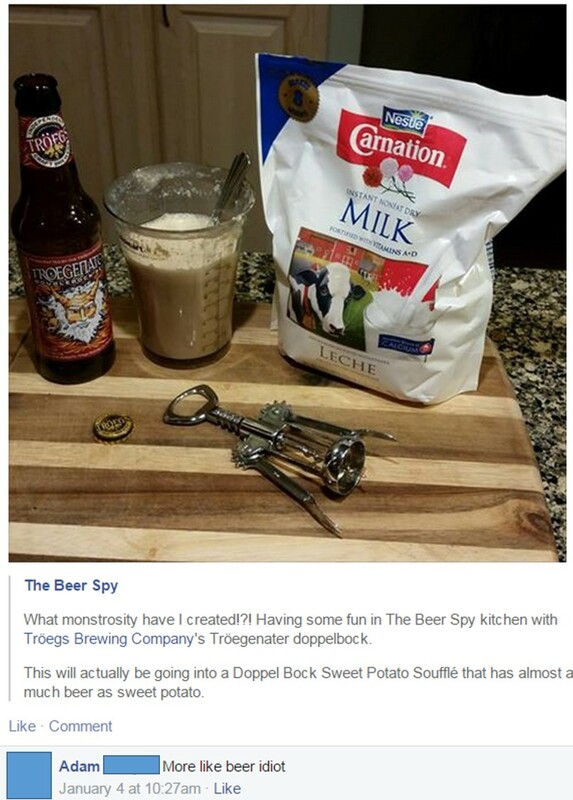 Think about the other ingredients and how they’ll work with the beer. 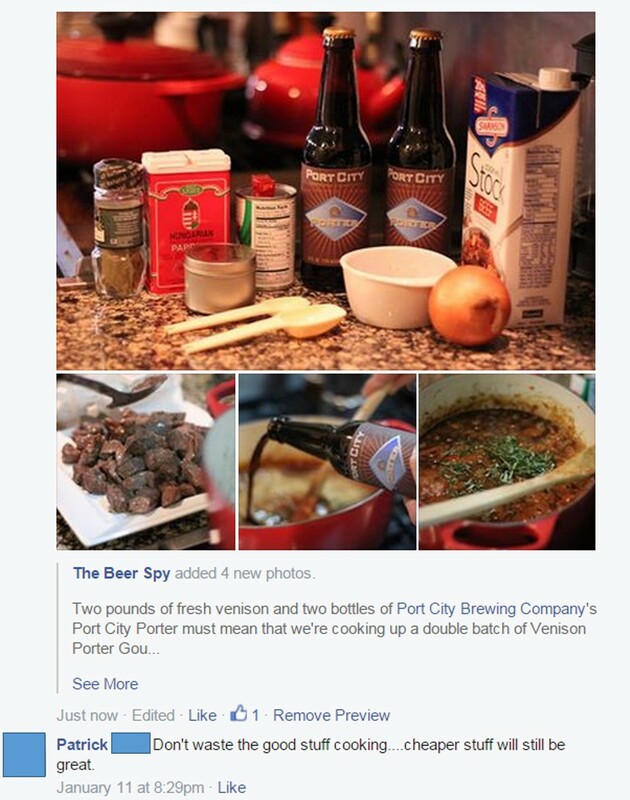 Think about the method of cooking and how that will affect the beers flavor. Most important of all, cook with good beer. I completely agree! We made a delicious Stoverij (Flemish Stew) with Moinette Brune that added incredibly flavours and complexity to the sauce! I couldn’t imagine a cheap, flavourless beer doing as much. Absolutely! You wouldn’t believe how many people have criticized me for using Rochefort 8 in the “Chasing the Chicken” series of recipes/posts. The same goes for using La Fin du Mond in the La fin du Poulet recipe. None of those dishes would be the same without those beers.